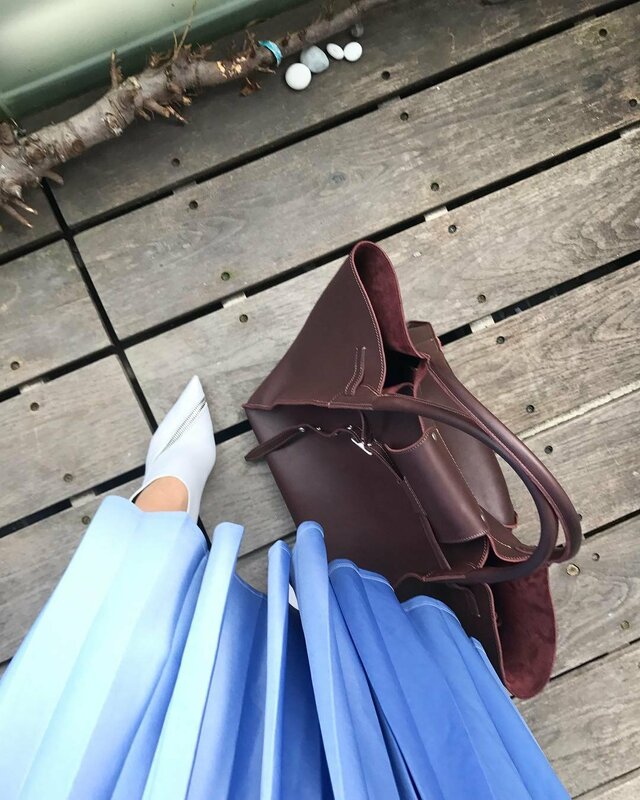 First the medium-sized bags were popular, then the small bags and since 2009 we are seeing a trend that big bags have become the new thing in fashion. So what did Celine do? 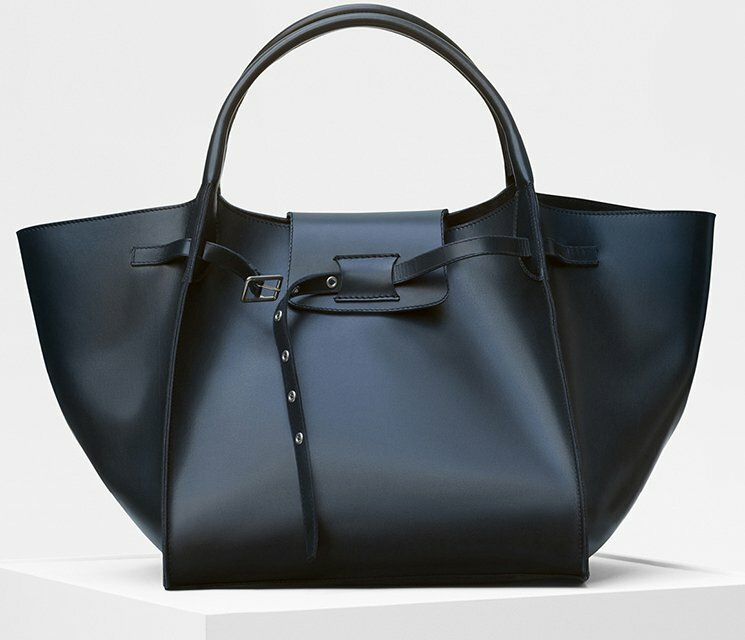 They created a XL-sized tote bag; it’s big enough to fill all your needs and obsession. 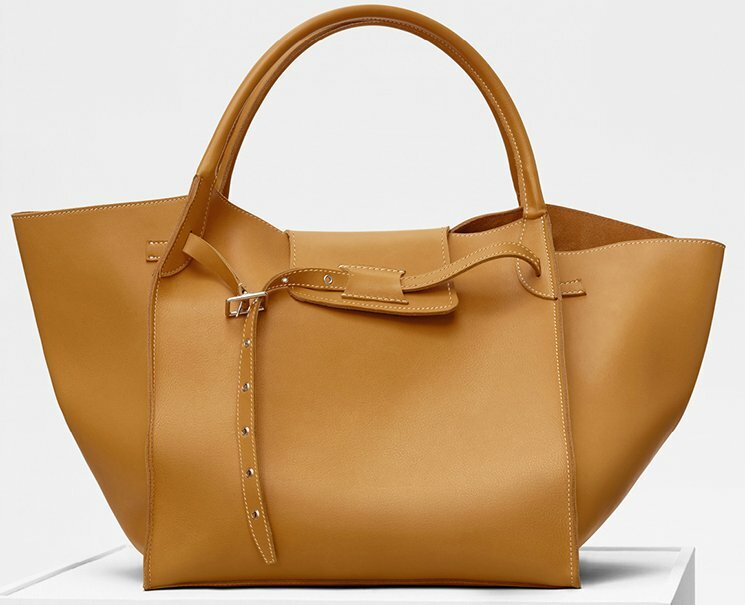 This bag is called the Celine Big Bag and it’s introduced for the Winter 2017 Collection. The name says it all; it’s a Big Bag. But besides the size, let’s take a closer look at the shape and design of this bag. The shape reminds us of the famous Phantom Bag or the Luggage Phantom Bag. No, it’s even better because the side wings is bigger and more slouchy and flexible. You have to love that! 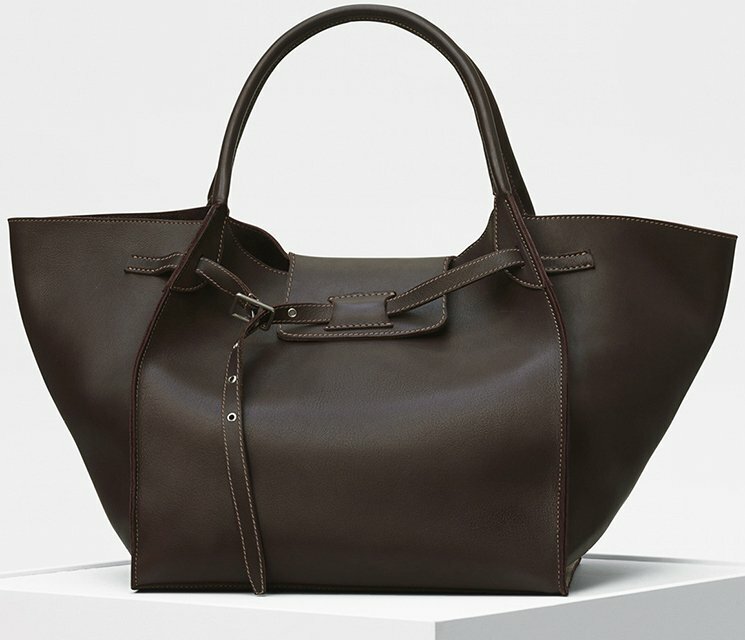 The Big Bag is made in solid color and as minimal as possible. It’s crafted from soft bare calfskin, which is very smooth but durable too. The top comes with a small flap and it’s supported with a functional leather belt. You have to use the leather belt to close the bag. 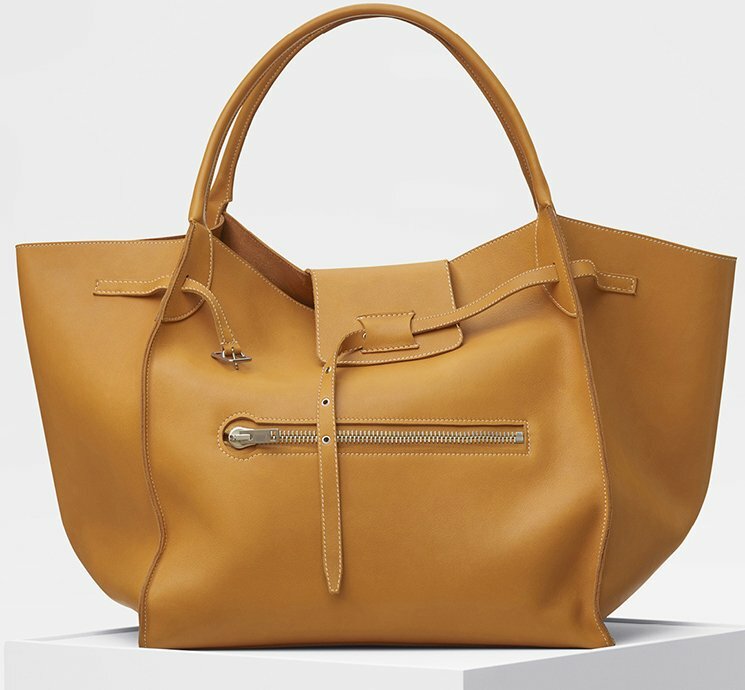 Tote this extra large companion in a big city or use it as a weekend bag. It can be carried as a workbag too if you’ve too much to carry. 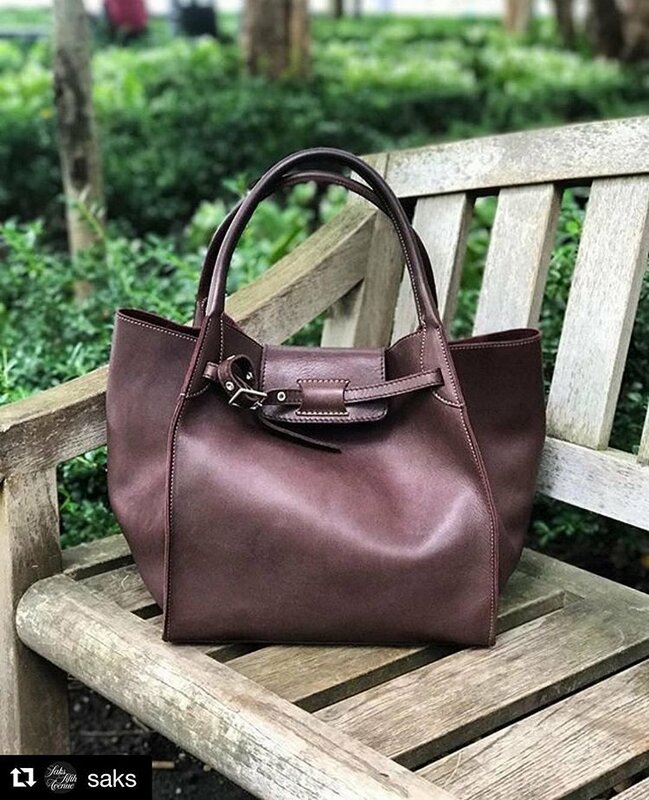 For the woman with a busy lifestyle, this bag is like a dream come true. Or if you have a baby or kids and need to carry for more than one person, then this is also a great useful handbag. 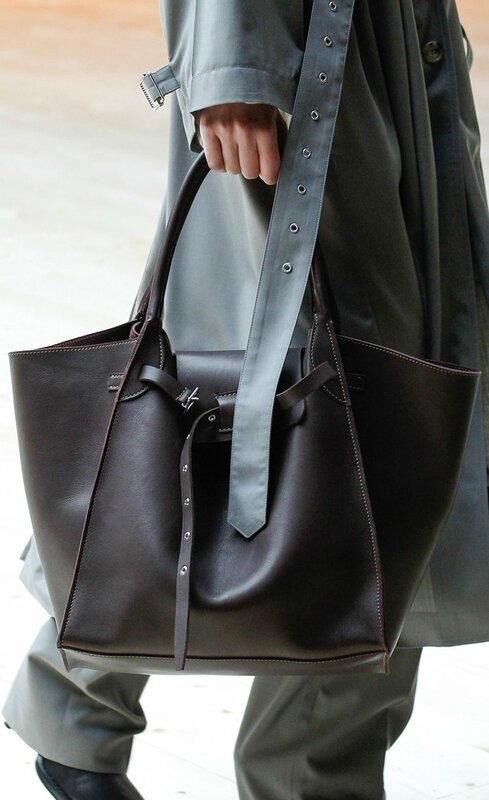 The size of this bag is not only for storing your stuff, but it’s an automatic-flaunting-system as well. Imagine carrying such a big bag in town, you will get instant-noticed. The Big Bag comes in two different styles and sizes. There is one (the medium size) without the front zipper, which looks much more minimalistic. The second one (the large size) comes with a front pocket, which looks much more like the (Luggage) Phantom Bag. However the front pocket of the Luggage Phantom Bag comes with a zipper that’s adorned with a long leather strap. The Big Bag doesn’t have this. 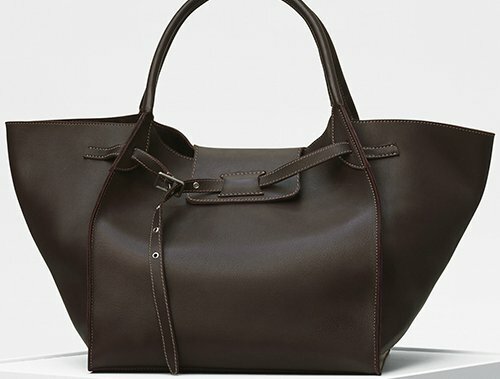 The Large Big Bag with the front pocket is also more expensive than the one without the front pocket. And which one you see depends on your personal taste, but I’d like the one with the front pocket because it look closer to the signature Luggage Phantom Bag and it adds an extra touch of excitement to the overall look. The inside of the Big Bag comes with one large compartment to store everything you need. But you can also find a zipped pocket. The interior lining is suede calfskin. I am so loving this bag. It would be huge on my small frame, but I love it.